A US federal appeals court handed down a mixed ruling in a celebrated patents infringement case between smart phone giants Samsung and Apple Inc as it affirmed on Monday a jury's verdict that Samsung violated Apple's design and utility patents, but ruled that Samsung had not infringed on the company's overall trade dress. The Court said in its ruling : "We affirm the jury's verdict on the design patent infringements, the validity of two utility patent claims, and the damages awarded for the design and utility patent infringements appealed by Samsung. Out of the $930m damages imposed by the San Jose Court against Samsung, the appeals court ordered the court in San Jose to reconsider the $382m portion awarded for trade dress dilution. Samsung had argued damages should be lowered by $382 million because it was wrongly held liable on trade dress issues. Trade dress is a legal term used for a trademark on the way a product is packaged or presented. As part of its case, Apple had accused Samsung of diluting its brand and connection with customers by copying the look of its phones. The appeals court said Apple’s trade dress claims, which focused on design elements such as the iPhone’s rounded corners and screen icons, were based on functional elements of the phone that weren’t entitled to legal protections under U.S. trademark law. The Appeals Court said in its ruling: "Samsung cites extensive evidence in the record that showed the usability function of every single element in the unregistered trade dress. For example, rounded corners improve 'pocketability' and durability', and a rectangular shape maximises the display that can be accommodated." In its conclusion, the appeals court said that Apple failed to show "substantial evidence" to support its side of the argument. "Apple fails to rebut the evidence that the elements in the unregistered trade dress serve the functional purpose of improving usability. Rather, Apple focuses on the beauty of its design, even though Apple pursued both beauty and functionality in the design of the iPhone," the court said. "We therefore reverse the district court's denial of Samsung's motion for judgement as a matter of law that the unregistered trade dress is functional and therefore not protectable." To grant such protection would give Apple a monopoly on these features forever, the court added. Apple had argued that it still would be entitled to that money because the Samsung devices in question also infringed its design patents. In a statement, Samsung focused on the part of the ruling in its favor. “We welcome the U.S. Court of Appeals’ ruling overturning Apple’s infringement and damage claims against Samsung over trade dress,” it said. “We remain confident that our products do not infringe on Apple’s design patents and other intellectual property, and we will continue to take all appropriate measures to protect our products,” it added. Monday’s decision, from a three-judge panel, was unanimous. 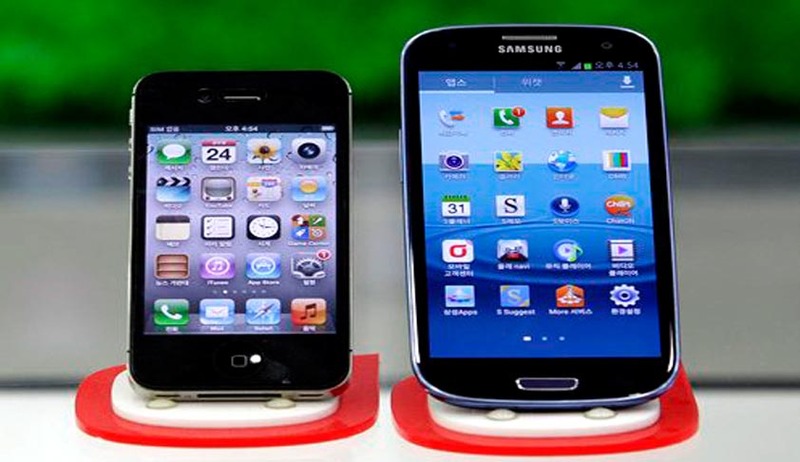 The appeals court verdict came after an August 2012 trial in San Jose in which a federal jury found that a range of Samsung devices, including the Galaxy S II and the Droid Charge, infringed Apple’s patents. Jurors originally awarded $1.05 billion in damages, but that figure was reduced to $930 million after the trial judge called for a retrial on some damages issues.